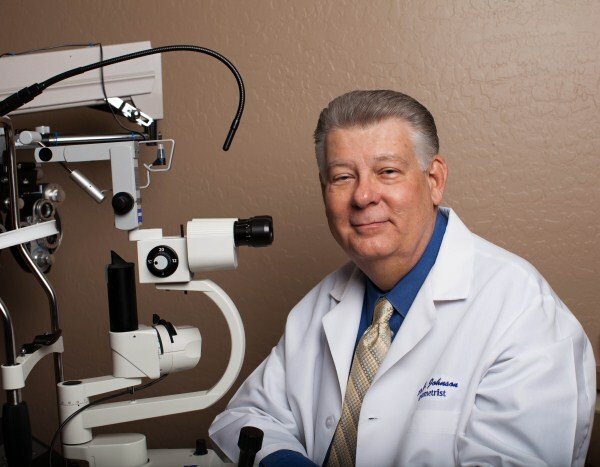 Dr. George Johnson brings more than 36 years of skill and experience to our Advanced EyeCare Center. With much pride in this family-friendly practice, our highly qualified optometric staff welcomes everyone with a smile, whether you are new or a returning patient. With a unique combination of professional experience and high-level training, we are dedicated to providing the best, most comfortable patient experience. Serving Northwest Phoenix, AZ, including Glendale and Peoria, our office is equipped with all the latest diagnostic technology. As a firm advocate of preventative care, Dr. Johnson encourages and offers comprehensive eye examinations in order to detect signs of eye disease as early as possible. He also adopts a proactive stance when it comes to protecting your eyes against the harmful effects of blue light and digital devices. EyeZen - new blue blocking eyeglasses which help prevent digital eye strain. Ask us how they can help you! The staff is wonderful, helpful and very nice. All my questions were answered to my complete satisfaction. Dr Johnson is fantastic. I'm am very pleased with everything about my exam and this place comes with my most highest recommendation! A happy customer. The entire office staff takes excellent care of you. From the time you arrive and leave. It is always a pleasure. The staff is truly amazing. They are very cordial, prompt and attentive. Dr Johnson is very friendly and has awesome stories to share. I will continue using them as long as they remain open!! Kudos to all the staff. Loved the Dr. Liked the exam tech. And loved Sharon. She helped fit me in new glasses . I have always had good quality service at Advanced Eye Care Center. They may be a little higher priced then some other places ( an I have been to them). I prefer quality when it comes to my eyes. What are EyeZen Lenses by Essilor? Eyezen lenses are an everyday pair of lenses, enhanced to provide comfort and protection for people who are on smartphones, tablets, and computers for hours at a time. They also block at least 20% of Harmful Blue Light emitted from phones, tablets, televisions, computers, and more. Looking for contact lenses that give you clear vision and total comfort? Dr. Johnson specializes in fitting contact lenses for all ages. UV rays can damage your eyes. We carry a broad selection of designer sunglasses, make sure to protect your eyes with polarized sunglasses! Our eye care team at Advanced Eye Care Center will not only make sure that you get the diagnosis and treatment you need, they will make sure you leave our office with a smile on your face. Our staff is trained to make sure you find the perfect eyeglasses or sunglasses to suit your face. If it's contact lenses you need, they will find you the most comfortable contact lenses available. We value our patients and our community, that's why we care for everyone like a member of our family. Using a range of advanced technological equipment, we will take conduct a complete eye exam, checking for eye disease, and well as checking your vision. Many common eye diseases, including cataracts, glaucoma, and macular degeneration are diagnosed via a routine exam, before any symptoms are experienced. Our cutting-edge technology will help us provide you with a prescription for eyeglasses or contacts that will have you seeing clearly and comfortably. Exceptional eye care begins with comprehensive eye health exams for the whole family, and Dr. George Johnson will dedicate as much time as necessary to inspect your eyes and vision. As a believer in the need for preventative medicine, he strongly encourages all of his Advanced EyeCare Center patients to come regularly for eye evaluations in our Northwest Phoenix, Arizona clinic. 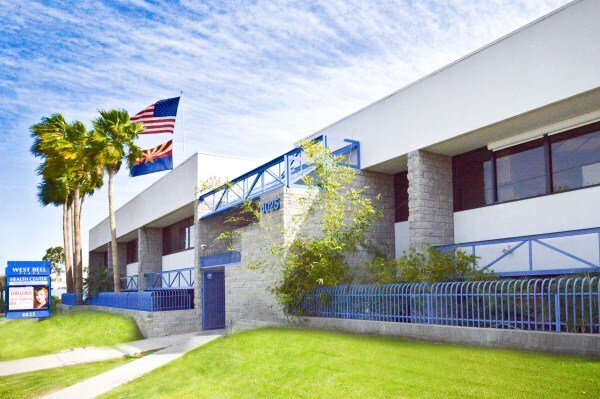 Conveniently located, we are proud to serve the entire region, including Peoria and Glendale. We aim to please our patients. Our wide selection of top eyewear, from designer frames to the finest brands of contact lenses, comes with a Satisfaction Guaranteed promise. We accept a large range of insurances and have status as a VSP Preferred Provider. Call today for more information and to book your appointment with our expert and experienced optometrist, Dr. George Johnson.